Bombardier workers in Northern Ireland and the Midlands face uncertainty after the Canadian company announced 5,000 job cuts globally on Thursday. The struggling plane and train maker has not said where the cuts will be made over the next 12 to 18 months, but the bulk are expected to go in Canada. The GMB union, which represents Bombardier workers, said it was demanding answers from the company on behalf of its members. “We have set in motion the next round of actions necessary to unleash the full potential of the Bombardier portfolio,” said chief executive Alain Bellemare. 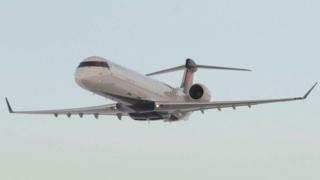 The announcement came as Bombardier unveiled its third-quarter results, in which pre-tax profits doubled to $267m for the three months to September compared with the same period last year. Sales were down 5% to $3.6bn, but revenue is expected to jump 10% to at least $18bn next year.